Gary J. Frank P.C. - Phoenix AZ Divorce & Family Law Blog: BABY VERONICA RULING - DID THE COURT TRULY CONSIDER THE BEST INTERESTS OF THE CHILD? BABY VERONICA RULING - DID THE COURT TRULY CONSIDER THE BEST INTERESTS OF THE CHILD? The Indian Child Welfare Act, enacted in the 1970's, was intended to protect Native American Children and their tribes. For decades, many Native American children were taken (some were literally stolen) from their parents and sent to anglo families for adoption. (According to CNN, at one point, 30% of children on reservations were taken from their parents.) The Indian Child Welfare Act was meant to correct this horrible injustice, and others like it. But in the 2012 case of Baby Veronica, the law may have been applied unfairly. Veronica's biological father abandoned the mother during the pregnancy. He did not attend the birth. He paid no support and made no effort to see the child after she was born. When Veronica turned four months old, he signed a waiver of his parental rights. However, two weeks later, he changed his mind and commenced legal action to have the child returned to him. This week, the South Carolina Supreme Court finally issued its ruling, requiring that Veronica be returned to the biological father. Veronica is now two years old. She's not a newborn baby, she is an intelligent little person. She was abandoned by her father, and voluntarily placed by her mother with an adoptive family who raised her with love and care. Now she is bonded with her adoptive parents. Yet, the Court required her to be handed to a stranger, who happens to be her biological father. She was placed in a car and driven away from the only family she has ever known, as if she were a puppy. Did the South Carolina Supreme Court truly consider the "best interests" of this child? What do you think? Gary Frank is an Arizona Family Law Attorney and a children's advocate. For many years, he represented children in child abuse and neglect cases in Superior Court. He was appointed to serve on the Governor's Arizona Child Abuse Prevention Task Force. He won a Maricopa County Bar Association Volunteer Lawyer of the Month award for representing a child in a Family Court Custody Action and successfully petitioning to have the case transferred to Juvenile Court, where the child could be protected from her abusive parents. Our law firm focuses on Family Law Matters, including divorce, custody, parenting time disputes, Relocation/move-away cases, Enforcement and modification actions, child and spousal support, paternity/maternity, Grandparent and non-parent rights, Mediation, and all other matters involving families and children. If you are in need of a consultation to learn about your rights, please call us today at 602-421-403; or contact us by email at gary.frank@azbar.org. To learn more about our firm, check out our website at www.garyfranklaw.com. We'd be happy to help you. Veronica is now two years old. She's not a newborn baby, she is an intelligent little person. She was abandoned by her father, and voluntarily placed by her mother with an adoptive family who raised her with love and care. Now she is bonded with her adoptive parents. Yet, the Court required her to be handed to a stranger, placed in a car, and driven away from the only family she has ever known, as if she were a puppy. Did the South Carolina Supreme Court truly consider the "best interests" of this child? Gary Frank is an Arizona Family Law Attorney with over thirty years of experience, dealing with divorce, custody, parenting time, modification and enforcement actions, relocation cases, and all aspects of Family Law. Above all, he is an advocate for children. If you are in need of a consultation, call us today at 602-383-3610. 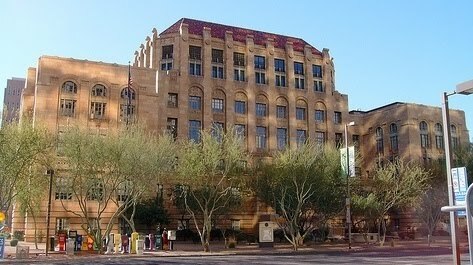 You can also reach us by email at gary.frank@azbar.org, or through our website at www.garyfranklaw.com. We look forward to assisting you.